Our first trip away this year in the van, for a long weekend of paddling on the River Dart with Friends from Whitewater Action Medway. This was Bo’s first over night trip away from home so it’s been a bit of a learning curve for us and her, luckily the club were staying in a bunkhouse and we were fortunate enough to be able to park the van in the car park and share the bunkhouse facilities. 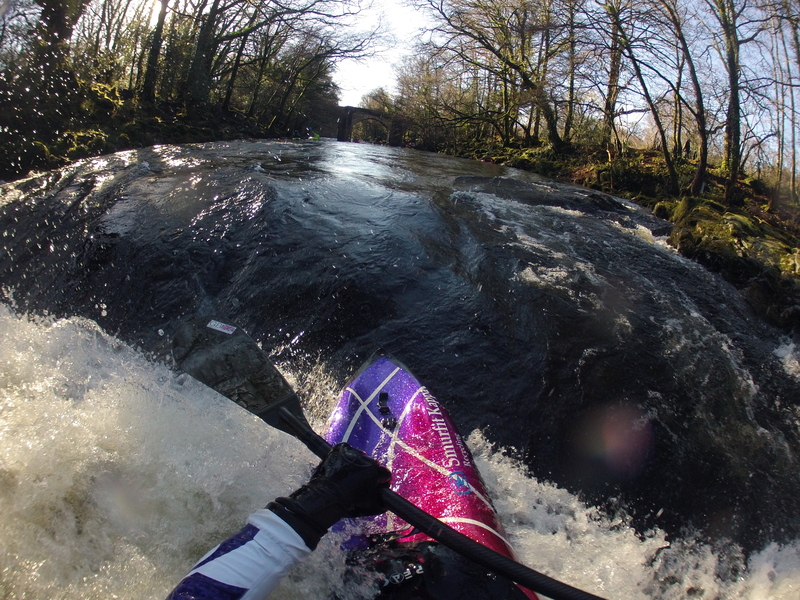 Friday and Saturday were very wet, due to this the river levels were really good so I took the opportunity to go squirt boating on the Dart Webburn seam. Sunday we woke to a frost, when its cold like this I reach over and turn the night heater on to warm things up before I get out of my sleeping bag, once the temperature had climbed to more comfortable level got up and dressed to take Bo out for a quick walk. 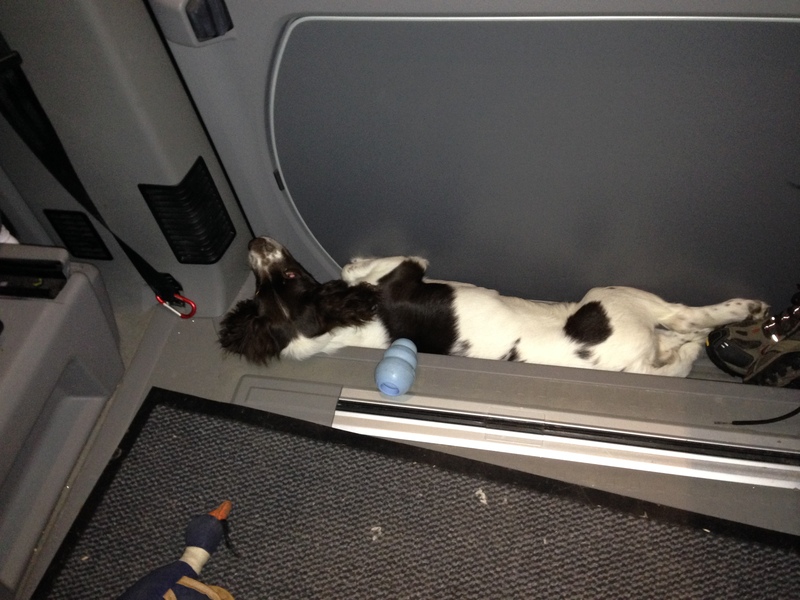 Once back in the van Bo quickly found an novel way to enjoy the lovely warm air coming out of the Cali’s night heater while I fixed breakfast. This entry was posted in Kayaking and tagged mystery move, river dart, Springer Spaniel, squirtboat, vw California by Jamie. Bookmark the permalink.